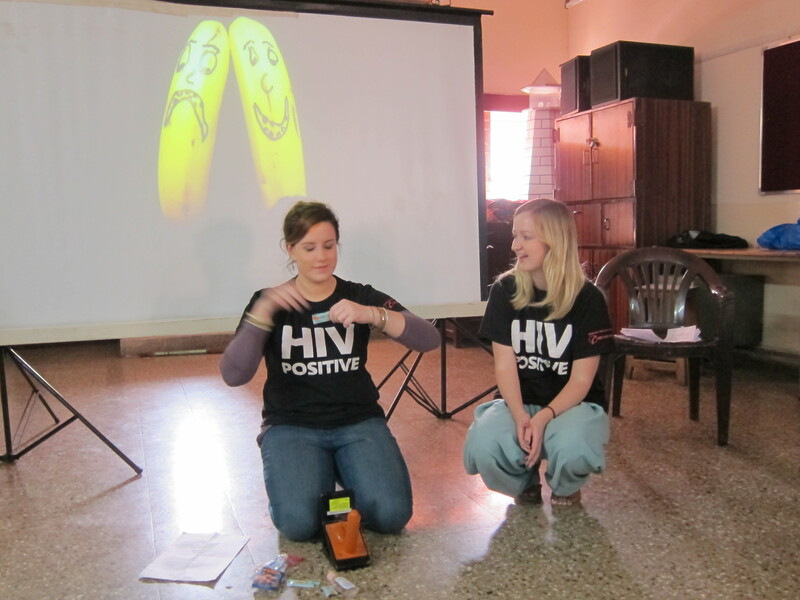 An HIV bootcamp presentation for new volunteers was held last Sunday, November 6th on Tadiwala Road. The audience was a mix of about 30 new local and international volunteers at Deep Griha and several international volunteers associated with other organizations in Pune. We discussed the biology and epidemiology of HIV, modes of transmission, the national and international prevalence of HIV, and the stigma attached to the condition. The event also featured audience-participation activities, including a condom demonstration and an agree / disagree activity on controversial opinions and topics surrounding HIV. All who attended felt that it had raised their knowledge levels and challenged their assumptions. If you are interested in attending a similar HIV bootcamp, keep an eye on the website for updates on the next one coming soon!